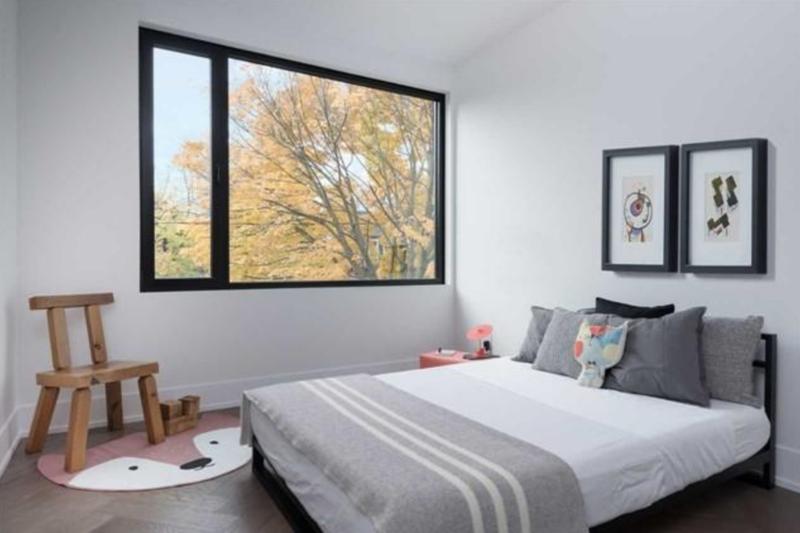 This is a 4+1 bedroom, 5 bathroom house with a 2 car garage on a 26.67 x 142 foot lot at 31 Alhambra Avenue in the north end of Roncesvalles. And now looks like an office building. But I really like it (not sure the neighbours love the outside). I’m a little confused about that living room being divided by the fireplace as I am not sure what that space with 1 chair could be used for other than one chair. And I would have preferred some sort of family room area for a 4 bedroom house. But if those things don’t bother you, this is a really good house with an interesting staircase and a hidden (from the road) third floor master suite with a large deck. Love the stairs but, ummmmm, that’s a lot.